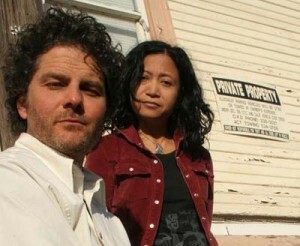 Rick DiDia and Aireene Espiritu are two amazing musicians who perform together as a guitar and ukulele duo, fusing blends of folk, Americana, roots, blues, bluegrass, and rock into a powerful musical force. 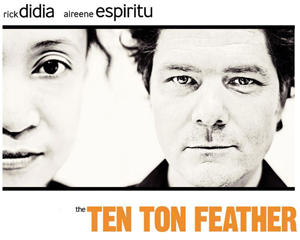 MLR talks with Rick and Aireene about their upcoming release entitled Ten Ton Feather, how they met, their musical influences, and their ‘Spinal Tap’ like moment at the Freight and Salvage. Credits: intro/outro music “Mississippi” by “Rick DiDia“, “4th of July, Asbury Park (Sandy)” by “Bruce Springsteen“, “Live Long, Young, and Free” by “Aireene Espiritu“, “Drive On” by “Rick DiDia“, “Wailing Sun” by “Rick DiDia“, “Big River” by “Rick DiDia“, “Down at Albert Brown’s” by “Aireene Espiritu“, “Flying” by “Rick DiDia“. Check out this video to learn more about Rick and Aireene, featuring some great live footage. 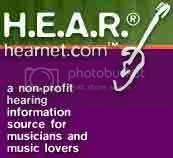 Aireene and I were asked to take part in an interview by an old friend named Dan Sauter who runs an audio blog called “Music Life Radio”. Dan’s interview style is one we can definitely get behind and recommend – this includes drinking lots of wine until your face feels warm, a crooked smirk runs across your entire face, and your lips start flapping faster than Seabiscuit galloping around the final turn. Not only did Dan lure us in with copious amounts of wine, he also seduced us with a beautiful, red couch. When I saw that soft, velvet cushion of goodness, thoughts of the movie ‘Jerry Maguire’ raced through my head and I almost cried out, “You complete me.” Whats the big deal about a couch, you ask? In a house as small as what we live in there is no room for such a basic item. In fact, we were liking his couch so much it was pretty evident we weren’t going to leave until we were forced. Eventually, this became apparent to Dan and he finally called the police and had us removed (not really). We kept begging, pleading, crying for more questions, but even he had his limits with us (this part is true, however). I’ve known Dan ever since he was a single, punk rockin’, coast guarder who toured with bands like the White Trash Debutantes. Although he’s now married and a ‘civilian’, Dan still loves to rock it out with folks like Greg Volker in “Gunpowder”, Visitor 42, and Eric Core.